Definition: Something controversial that nobody wants to deal with. Example: The topic of Mal’s new hairpiece was something of a hot potato at the party. 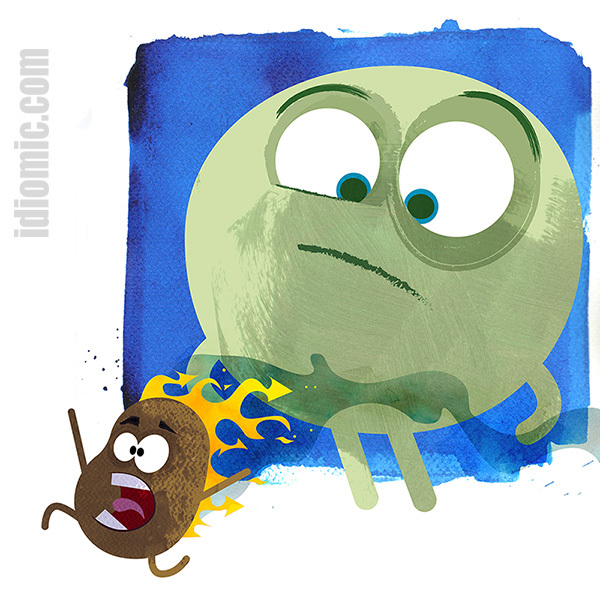 The inference is that a hot potato is too hot to handle. It is derived from drop like a hot potato, meaning to abandon something as quickly as possible. Coined in the mid-nineteenth century, the full phrase has fallen somewhat out of fashion in recent decades, leaving us with just the overheated tuber at its heart. It also lends its name to a party game where participants pass an object as quickly as they can. Iddy would love to give the game a whirl, but he’s never been invited to a party.